Can you feel it? That sudden surge of excitement that loudly exclaims we are at the mid-year mark and ready to scratch off another year under our belts. December certainly has been bustling with activities and many of our students enjoyed immersing themselves deeper in technology during Computer Science Week with an Hour of Code (FLVS style, of course). Others recently journeyed to faraway lands, all from the comforts of home during the FLVS 2016 World Fest. No passports were needed, just the willingness to tune in and celebrate different cultures and hear travels and tales from some of our amazing teachers. 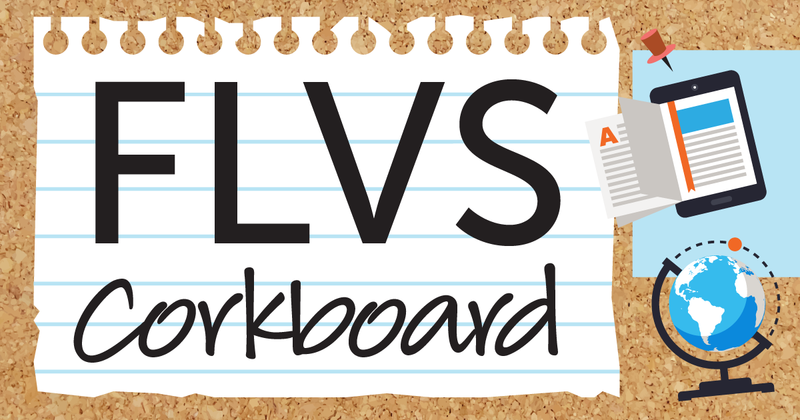 Do you know a student attending FLVS Full Time? Staying connected has never been easier! As a reminder, Dec. 19 through Jan. 2 has been designated as the Winter Holiday break for all FLVS teachers and staff. The FLVS Customer Care Center will be open from 9 a.m. to 5 p.m. from Dec. 19-31. They will be closed Dec. 24-26 and Jan. 1-2. Although teachers will not be available, you are welcome to continue regular progress in your course(s). On behalf of FLVS, we wish all of you a merry and safe holiday break.